My favorite part of soccer was when I got the leadership card last week. I always like practicing the cheers and when we are practicing soccer with the Lucky Stars and Coach Chelsea! Great job Lucky Stars on your performance at the Fall Frenzy! 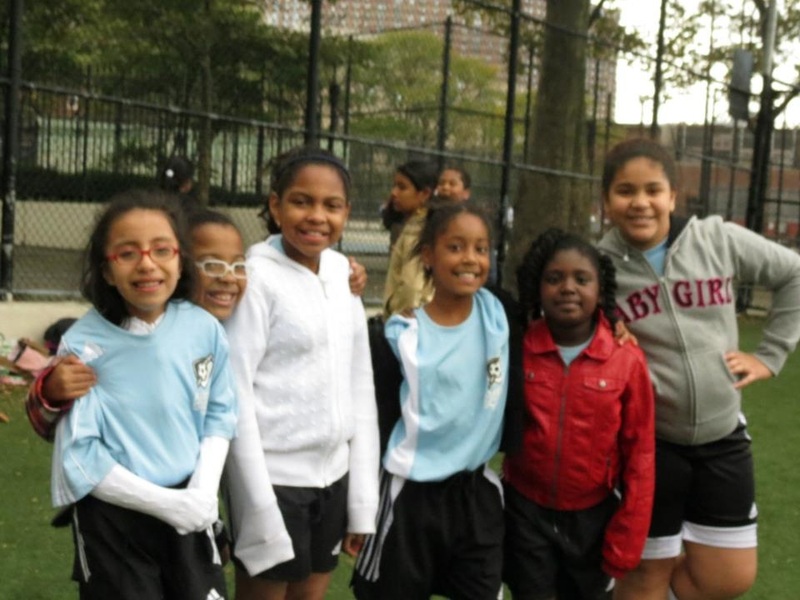 Thank you to Coach Garcia and Coach Chelsea for leading the girls of PS 192! Some of the Lucky Stars posing for a picture on a cold gameday playing against the PS 325 Soccer Sisters!! Be LOUD, Be PROUD, CHEER WITH THE LUCKY STARS! So stand back and watch cuz it's us that you will fear! !